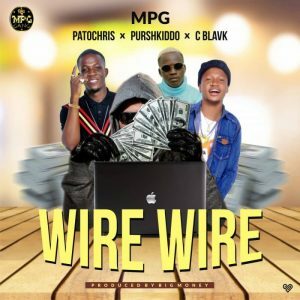 M P G Entertainment stars “Patochris” and “Purshkido“, Give out the best last year with d hit banger “Oundun” and “Madamgagu”. And now they team up with d island mafia gang “C Blavk” with dis dope tune titled “Wire Wire“. The song was produced by BiG Money. Enjoy! !